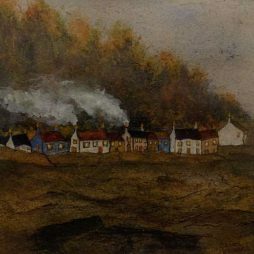 In his paintings and prints Clive tries to recreate the atmosphere and sensations he feels when he is out in the landscape or wandering around a city. 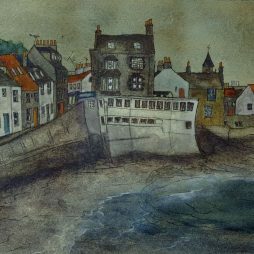 Clive will often make sketches and take photos for reference then usually complete his paintings back in his studio. 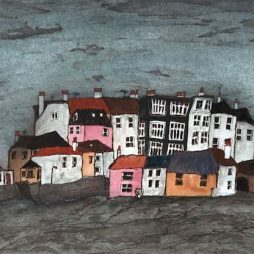 Clive primarily uses oil on canvas, but also likes to work with watercolour and ink. 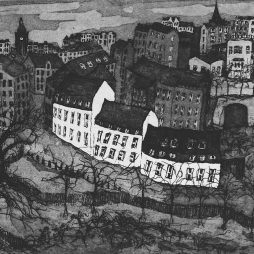 Influences include Schiele, Klimpt, Turner, Picasso and Whistler; as well as some more modern and local artists like Joan Eardley and John Bellany. 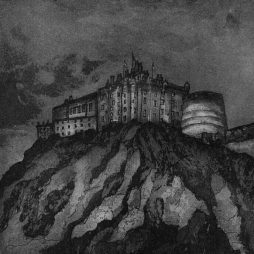 However, it is the beauty to be found in the cities and the landscapes of Scotland which continue to inspire him most. 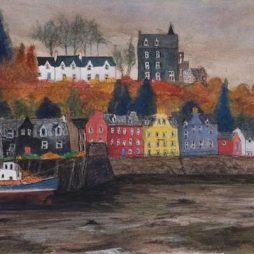 Clive’s paintings and prints have featured in many prestigious exhibitions, including the Royal Scottish Academy (RSA) Open where his entry was used as publicity material for the show; the Royal Glasgow Institute of Fine Arts Annual Open, The Royal Scottish Society of Painters in Watercolour and the Society of Scottish Artists exhibitions (SSA).